For the third time since their first landmark gift in 2013, Washington, D.C.-area philanthropists Joanne and Bill Conway have donated $5 million to the University of Virginia School of Nursing, bringing their total commitment to the school to $15 million. While the Conways’ first $10 million focuses on the school’s Clinical Nurse Leader program, a fast-track-to-nursing degree that offers non-nurses with at least a bachelor’s degree in another area a two-year, full-time path to becoming a nurse, their most recent $5 million gift will expand scholarship support to students across all of the School of Nursing’s undergraduate and graduate programs – to reduce their debt burden, encourage diversity and motivate more individuals to join the profession. The Bureau of Labor Statistics projects that nursing will be one of the 10 fastest-growing occupations through 2026, and anticipates that the total number of job openings for nurses due to growth of the field and replacement of retirees will be 1.09 million by 2024. The Health Resources and Services Administration projects that more than 1 million registered nurses will reach retirement age within the next 10 to 15 years, and a 2015 report found that 40 percent of registered nurses were older than age 50. According to a 2012 study, shortages of registered nurses will be particularly critical in the southern and western United States. The Conways’ first $5 million gift, donated in 2013, enabled the school to double the size of its Clinical Nurse Leader master’s program and hire several new faculty members. After another $5 million gift in early 2017 that will fund the education of 110 new nurses over five years through the CNL program, their latest gift will provide tuition assistance for an additional 50 to 60 nursing students through 2023 from across the school’s range of undergraduate, master’s and post-master’s, and Doctor of Nursing Practice degree programs. 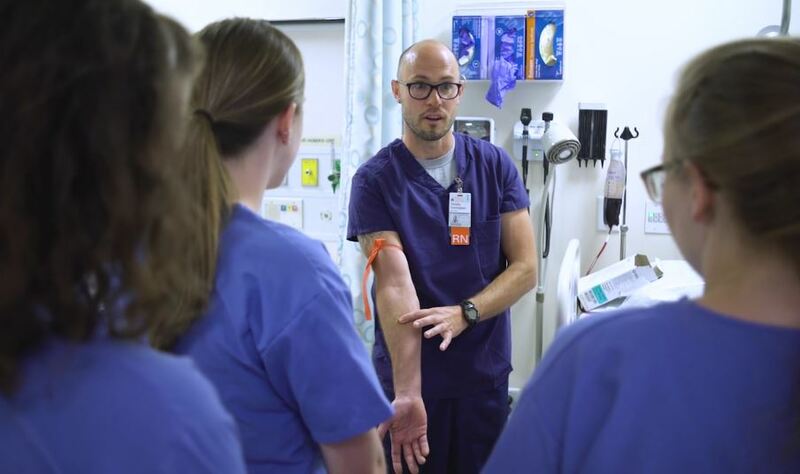 The UVA School of Nursing is the only program in the state ranked among the nation’s top 20, according to the U.S. News & World Report’s Guide to Graduate Schools for 2019. Among public institutions, the school ranks No. 9 overall in the U.S., including its No. 3-in-the-nation Clinical Nurse Leader program, its No. 11 Psychiatric Mental Health Nurse Practitioner program, and its No. 16 Doctor of Nursing Practice Program.